Since the advent of YouTube in 2005, ads' online reach has become an important metric for success. 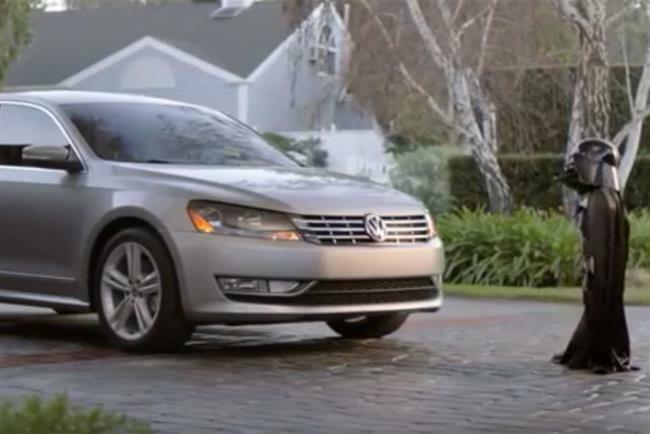 Unruly recently took a look at the most-shared Super Bowl ads in the history of the video-sharing platform — and Volkswagen's 2011 "Star Wars"-themed spot takes top honors. The ad shows a young child dressed as Stars Wars villain Darth Vader, who tries to use his "force" but fails. When he sees his dad’s car he tries to start it up with his "powers" and manages to turn the lights on. His father is in the kitchen with the controls. It was released for the Super Bowl in 2011, and the ad has since been shared 5.4 million times. The alcohol brand created the ad to pay tribute to America. The film followed horses dragging a cart, and when they reached sight of the New York skyline, they bowed their heads. The ad was only aired once in 2002 and has since been shared 3.5 million times. A man’s horse leaves to be part of the Budweiser Clydesdales; when the parade comes to town three years later, the horse's former owner goes to watch. He is upset when he thinks his horse doesn’t recognise him, but at the end of the parade when the horse is released from the rest of the group it runs towards the man. The ad aired in 2013 and has been shared 2.9 million times. A dog finding its way back home is met with a hungry wolf, and when his horse friends hear its barks they run out to rescue it. The ad aired last year and has been shared 2.5 million times. The ad follows the story of a bond between a puppy and a horse. The ad no longer features on Budweiser’s YouTube channel. It was aired in 2014 and has been shared 2 million times. The ad shows the hard work that farmers do. It aired in 2013 and has been shared 1.9 million times. 7. Fast & Furious 6 "Big Game Spot"
The ad is a trailer for the sixth film in the franchise. It aired for the 2013 Super Bowl and has been shared 1.5 million times. The band use the car to play the song, for example opening and closing the doors but also driving through a desert where they set up lots of instruments. The ad aired in 2012 and has since been shared 1.3 million times. 9. Fast and Furious 7 "Fast and Furious 7 trailer"
This takes crazy to a whole other level. #Furious7 opens April 3. The film shows fans a sneak preview of what to expect in the film. The ad aired last year and has been shared 1.3 million times. Several dogs bark to the Star Wars theme tune. The ad aired in 2012 and has been shared 918,587 times.